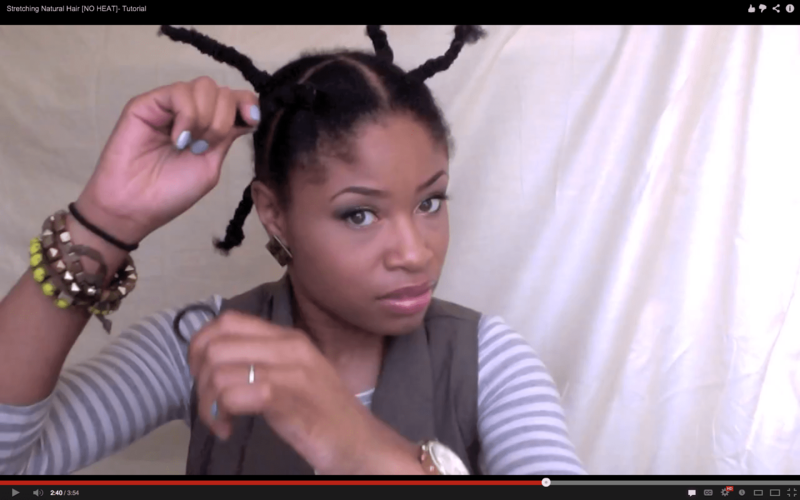 Braids (own hair or extensions) are an excellent style choice for naturals of any length. You can use them when you’re grown tired with your hair and want to leave it alone for a while, or when you just want to change up your style or color. With minimal maintenance, you can keep them for weeks at a time. Here are five steps to take take before installation to give yourself both a smoother braiding experience and less difficulty when come take down. This step can (and should) be taken farther in advance than the others. You want your hair to be in the best possible shape when you braid. If you have dandruff, get a shampoo to fight the flakes. If your hair feels weak, strengthen it with protein treatments (more about that here). Any hair-related problems you have will only worsen after leaving your hair more or less alone for two months. Try to settle any issues at least two weeks before you braid. This sill be the last time you have access to your loose hair for several weeks. Be sure to give your scalp a good scrub, removing any residue that might be there. This is much easier to do without a head full of extensions. Use a clarifying shampoo to remove dirt and oil from your hair (note: these often have sulfates, but here’s a list of 20 gentle clarifying shampoos. Condition afterwards to add moisture back to your hair. Your conditioner might also have other properties that your hair needs: moisturizing, protein, etc. This is your last chance to add extra strength and moisture to your hair before you braid it. This final conditioner will also spend the most time in your hair, so use this step to inject any extra ingredients that could benefit your hair. While you should give the conditioner at least 20 minutes to work, you don’t need to deep condition your hair overnight. In lieu of this step, you could also pre-poo or use a leave-in treatment several hours before you braid. This will add extra slip to your strands, which will aid with the installation process. Detangle your hair as much as possible, for two reasons. If you haven’t detangled your hair enough, your stylist will, most likely with one of those fine-toothed combs that spell breakage for natural hair. Avoid the pain, the extra time, and the possible breakage by detangling your hair yourself, using tools that are Black hair-friendly. Check out this page for more tips on how to comb your hair with more efficiency and less pain. After all, the person who loves your hair the most, and will give it the most TLC, is you. Also, hair that has been thoroughly detangled prior to installation will be easier to detangle again during take down. 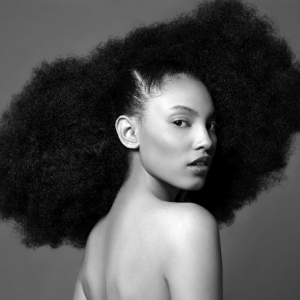 Black hair is prone to tangling, and you will not have access to your loose hair while the braids are in. After eight weeks, you’ll have accumulated quite a bit of shed hair come take down (humans shed, on average, between 40 and 120 hair strands a day), in addition to however much tangled new growth you’ll have. Hair that was well detangled before installation will be easier to comb through again during take down, making for a shorter (and less frustrating) detangling session. After you’ve finished all your treatments, put your hair into a style that will stretch it out until you braid it. This will decrease the chances of stray hair strands tangling while you’re wearing the style, as well as make it easier to comb your hair after you take out the extensions. Since heat will weaken your strands, try a no-heat straightening method like plaits, banding, or wrapping, to name a few (read more about no-heat straightening methods here). With proper preparation, installation and maintenance, braid extensions can last up to eight weeks before they need to be removed. Preparing your hair for installation is the first step to making sure you get the most out of your braided style by rocking it for as long as possible.